Buy quality boxing gear that lasts a lifetime. Fitness Equipment Warehouse is the preferred choice for a unique range of boxing supplies. Whether you are a trained professional or a dedicated novice who takes their boxing workouts seriously, you will always benefit from training with quality boxing gloves and pads. 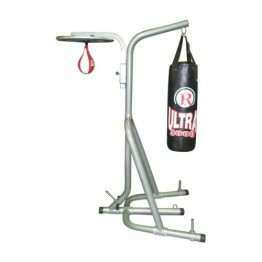 Our boxing training equipment is designed to handle the rigours of competition and exhaustive training routines. This ensures that the equipment delivers the highest standard of performance as well as comfort, strength, and durability. You have the option to browse and buy our boxing equipment online or visit us and experience our range firsthand. We’re always on hand and keen to assist. 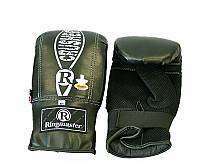 Boxing, MMA gloves, pads, and boxing bags come in a variety of shapes, designs, and sizes. When you come face to face with your opponent, you should feel confident to take them on. That is why we make sure to provide you with the best boxing training equipment on the market. The gloves we provide are manufacture for performance. With innovative integrated airflow technology, you can rest assured that air flow will be regulated within the glove conducting the heat and moisture away from the body, ultimately helping you maintain stamina for the rounds ahead. Fitness Equipment Warehouse has collaborated with boxing coaches and professional fighters who have unique insights into the sport. They have helped us develop our popular range of amateur and professional fighting and boxing training equipment. We manufacture boxing ring accessories including canvas, rope covers, turnbuckle covers and much more. If you want more personalised accessories solutions, we can provide tailor-made, high-visibility branding solutions for you too. 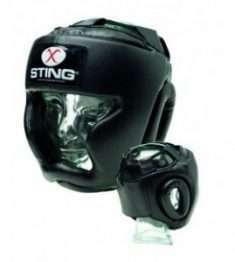 More and more clients are purchasing boxing equipment online. Boxing has proven to be popular and captivating for ages young and old. It even can keep the enthusiasm and energy of teenagers at bay. Moreover, boxing is a very effective and inexpensive way to improve your health and fitness. We highly recommend giving the sport a try, and all you need to start is a simple pair of boxing gloves, pads, and a boxing bag. Like boxing gloves, boxing bags come in all shapes and different sizes. However, if you’re looking for something to use at home, a standard 3ft or 4ft bag will be your best bet. You can always graduate to a heavier bag in the future if you find you need something heavier to cope with your improved power and strength. 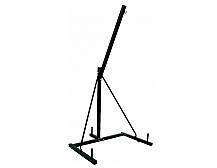 These freestanding bags are perfect if one is renting a property and can’t drill walls for anything retaining, the Free-hanging heavy-duty boxing bags are ideal in these circumstances for training. These punching bags have been made using state-of-the-art technology that can offer a life-like feel upon contact but also absorb even the heaviest of blows. Fitness Equipment Warehouse is a company that prides itself in true customer service. This consists of going over and beyond for our clients from your first inquiry, the selection of the equipment, the sale, to the delivery and installation if required. We value our clients and develop long-term relationships with all our customers.